Coaster Racer 3 is the third part of this interesting racing series, developed by Longanimals. Welcome back to the Coaster Racer series. In this game, you continue to participate in races on beautiful racetracks. This third part gives you 34 different races. 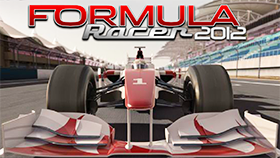 In each race, you will compete with 19 competitors, including cars and motorcycles. Your first vehicle is the Buggy (you can paint it); you need to beat level 3 to unlock the next vehicle. Winning an event and you will unlock more events and vehicles. You can earn money from playing events, and you can spend your money on upgrading your car. Besides, when you pass the conditions, you will have the stars and bonuses. You still can use the Nitro, which give your vehicle a burst of extra speed. Using freestyle allows you to build up Nitro more quickly. Coaster Racer 3 has 5 event types: Race – a race against multiple opponents. 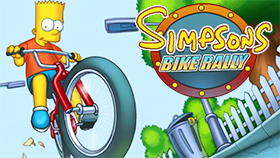 Time Trial – a solo race, try to beat the current time record to progress. Fruit – drive into fruit to collect them, hit the specified number of fruit to progress. Head to head – a 1VS1 race, compete with your opponent, run to the finish line faster than him to win. Overtake – a 1VS1 race, overtake your opponent in the specified time to progress. In addition, the game also has 14 achievements waiting for you to conquer. Good luck and have fun! Try to use your freestyle on straight sections. Different cars have different properties. Do you want to play Coaster Racer 3 Unblocked? Just click on the site freegames66. This is a site for those who like unblocked games. Here, you can play your favorite unblocked games simply because this site has a friendly interface. Moreover, all unblocked games here are free. Now, enter Coaster Racer 3 Unblocked, control your car, participate in events and get the money. Play now!